Super Smile Black Need Help? Super Smile is a fresh contemporary frame that captures the iconic aesthetics of the 90's. The model features a low profile and a straight upper line. 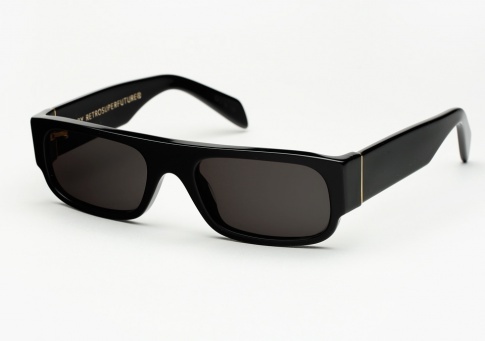 It is offered here in all black Italian acetate with matching black lenses.